Discussion in 'iPod' started by Bandit7038, Jul 28, 2010. My kid has an IPod. We got it used. It worked for a while and now it doesn't. I turn the screen on and all I get is the time. I can switch over into the first screen with all the icons but I can't open any of them. I would like to do a restore to the original manufactured software, but I don't know how to achieve this. Please Help!!!! 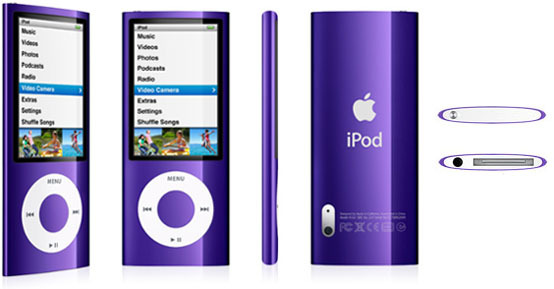 Let's make sure we know which iPod model you have. Is it like the one in this photo? If you aren't sure, use this chart and tell us which model it is. from the fact that he's got icons on his screen i know it's an iPod touch. For all iPods you can restore the factory defaults from iTunes. just connect it to Mac/PC and open iTunes. select the iPod in the left column, and hit 'restore' in the overview tab.